"This package of defense equipment and services supports the long-term security of Saudi Arabia and the Gulf region in the face of malign Iranian influence and Iranian related threats. Additionally, it bolsters the Kingdom's ability to provide for its own security and continue contributing to counterterrorism operations across the region, reducing the burden on US military forces," the US Department of State said in a statement on Saturday. US President Donald Trump, along with US Secretary of State Rex Tillerson, who is accompanying him on the trip, attended a signing ceremony for almost $110 billion worth of defense capabilities to be conveyed to Saudi Arabia, effective immediately. “This package demonstrates the United States’ commitment to our partnership with Saudi Arabia, while also expanding opportunities for American companies in the region,” the statement read. The deal also “potentially supports tens of thousands of new jobs in the United States,” it added. The “intended sales” include deals in five categories that include border and coastal security, cybersecurity, air force modernization, as well as air and missile defense, the State Department announced. 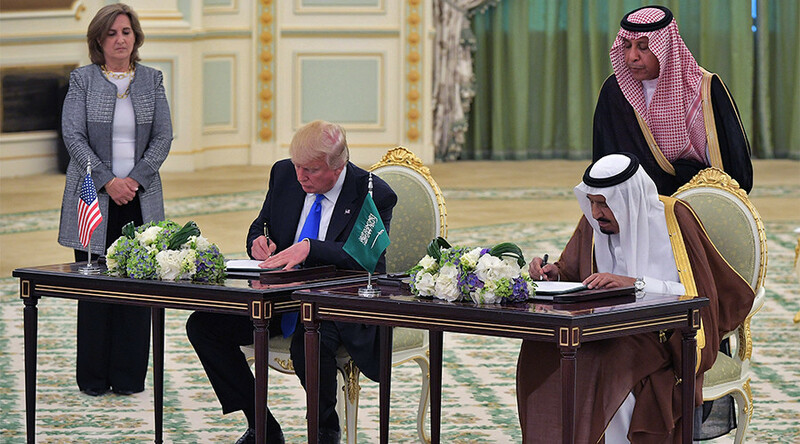 Tanks, artillery, helicopters, light close air support, intelligence-gathering aircraft, and systems such as Patriot and THAAD are just a few among a large list of weapons and machinery to be sold to Riyadh. “Offers of extensive training” are also included in the package. Speaking at a news briefing, Tillerson said the deals send a "strong message to our common enemies." The US Secretary of State also told the media that a centerpiece of Trump's visit to Saudi Arabia is to curb any threats to the region allegedly posed by Iran, AP reported. Leaders of the two countries also discussed fighting "extremism and terrorism" in the region, including in Yemen and in Syria. Speaking at a joint meeting with Tillerson, Saudi Arabia's foreign minister, Adel al-Jubeir, said the ties between Riyadh and Washington would help "drain the swamps" from where the threat "emanates." The series of agreements inked provide for a “total value of investments... in excess of $380 billion," Adel al-Jubeir told reporters. 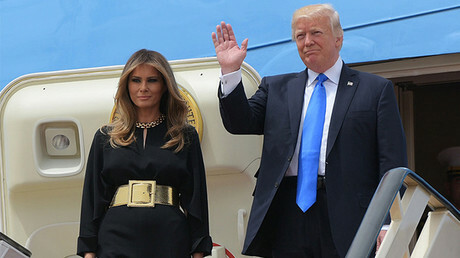 The US president himself has only briefly commented on his first day in the Saudi Arabian capital. He said the deals he had inked would lead to "tremendous investments" in the US, and create "jobs, jobs, jobs," as quoted by AP. Reports of Washington and Riyadh engaging in talks over multi-billion arms deals emerged earlier in May. The arms package includes a Terminal High Altitude Area Defense (THAAD) missile defense system from Lockheed Martin, similar to the one being made operational in South Korea, which costs around $1 billion, Reuters reported earlier, citing unnamed sources within the administration. A software system, a package of satellite capabilities, as well as fighting and artillery vehicles are also reportedly part of the negotiations. More than $1 billion worth of munitions, including armor-piercing Penetrator Warheads and Paveway laser-guided bombs made by Raytheon, might also be included in the package. 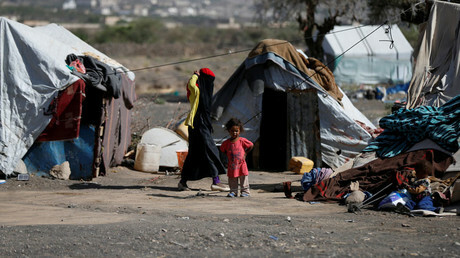 International human rights organizations have been voicing concerns over Saudi-led coalition attacks in Yemen, where Riyadh is fighting against Houthi rebels and supporters of the former Yemeni president, Ali Abdullah Saleh, who are allegedly backed by Iran. Human Rights Watch says the coalition headed by Riyadh has violated the rules of war, with some of its military action likely amounting to war crimes, including attacks on hospitals, markets, schools, and religious centers. In the last month of his term in office, former President Barack Obama halted the sale of precision-guided munitions to Saudi Arabia over concerns that the Royal Saudi Air Force (RSAF) was targeting civilians in Yemen.